Today Thanksgiving is one of America’s biggest holidays. For most Americans visions of parades, family, food, and football take the mind’s center stage. However, this has not always been the case. While there are various instances of a Thanksgiving-like feast and celebration since the early 1600s, Thanksgiving as a holiday was not celebrated until over 200 years later. This article will take you through the real history of Thanksgiving, from its meaning through its historical course to the earliest possible recording of a Thanksgiving-like celebration to present day ways of celebrating Thanksgiving. The word “Thanksgiving” has two meanings. First, it is an expression of gratitude, specifically when thanking God. The second meaning details the holiday of Thanksgiving in North America. When looking at these two definitions, it is helpful to note that the first meaning is historically correct until Thanksgiving became a holiday in the United States. Therefore, until about the mid-1800s, any thanksgiving type feast had religious significance for those celebrating. For instance, it meant that Pilgrims or Colonists were giving thanks to God for certain circumstances, such as a bountiful harvest or surviving a harsh winter. For the Colonists, it meant that they were thankful for their victory during the Revolutionary War. While the meaning of Thanksgiving has changed over its history, the reason of being thankful for something or to someone has not changed. Like most historical topics, historians debate on when the first Thanksgiving occurred. 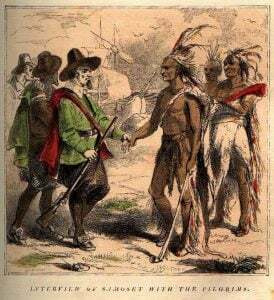 Some historians date the first celebration of thanks in North America to the year 1565, when Pedro Mendez de Aviles, a Spanish explorer, gave thanks to his crew arriving safely with a mass and extended an invitation to the Timucua tribe in St. Augustine, FL for the celebration. The next date in question for the first Thanksgiving Day on American soil is December 4, 1619, which was proclaimed a day for thanking God. The most popular date for the first day of thanks is the year 1621 when the Pilgrims and the Wampanoag tribe joined together in a feast to celebrate a successful harvest. While the rest of the seventeenth century holds very little record about any other Thanksgiving celebrations, some believe that Thanksgiving type feasts could have been held in 1637 and 1639, but there is no other information provided other than dates. It is also believed that one was held in 1676 with a little more information. There was a proclaimed celebration of giving thanks to God in the community of Charlestown, Massachusetts. The reason for this thanksgiving type feast was due to their good fortune. However, a big difference between the Thanksgiving feast of 1621 and this feast was, Native American were excluded in the feast of 1676. It is important to note that many historians believe the Pilgrims would celebrate a day of thanks annually, however, this is not documented. 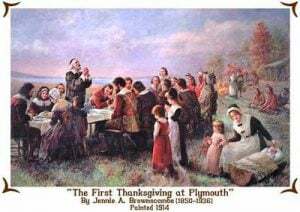 Historians also do not know if this day of thanks occurred during the same time every year or if occurred under certain circumstances where Pilgrims felt the need to give thanks to God. Not only has the meaning of a Thanksgiving meal changed over the centuries, but what food was made for the feast has also changed. While historians cannot fully be sure what most of the seventeenth century thanksgiving feasts consisted of, it is believed that for the 1621 feast of several days different kinds of food was prepared, such as venison, duck, fish, turkey, and cornbread. A couple more dates come together for thanksgiving type celebrations during the 1700s. 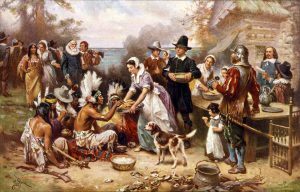 While the meaning behind holding a Thanksgiving feast did not change, thanksgiving celebrations became more universal among the colonists, however, there is no record of the involvement of slaves, Native Americans, or any other minority. There are a few mentions of dining where eating and drinking are mentioned, however, we cannot fully state that this would be a Thanksgiving celebration. But, during the 1770s and 1780s, at least three recorded thanksgiving proclamations occurred. The first of these three thanksgiving days occurred in 1775. According to the Boston Gazette and Country Journal, Massachusetts asked for a day of thanks on November 13th to try to unify the American Colonists with the British. A second proclamation occurred when the Continental Congress requested a Thanksgiving Day on December 18, 1777, for all colonies in celebration for America’s victory at Saratoga. 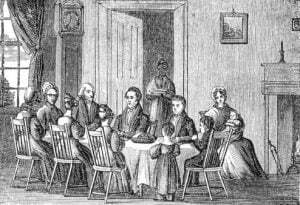 The third and recorded final thanksgiving celebration in the eighteenth century occurred when President George Washington declared November 26, 1789, a national Thanksgiving Day after receiving requests to do so. 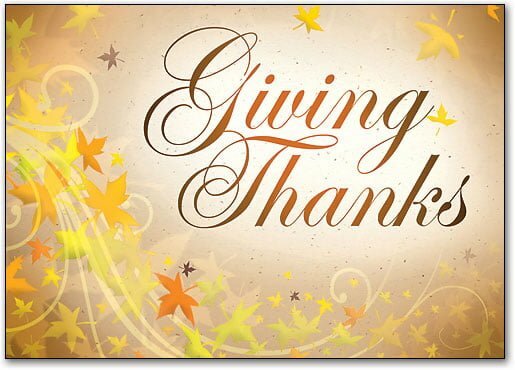 The biggest fact about Thanksgiving in the nineteenth century is it became an annual holiday in 1863. 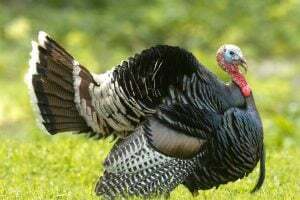 However, the first instance of a Thanksgiving Day during the nineteenth century was in 1815 when President James Madison proclaimed a day to celebrate the end of the War of 1812. A couple years later, in 1817, the state of New York became the first to proclaim Thanksgiving as a holiday. After 1817, the requests for a day of thanks became quiet, until a lady named Sarah Josepha Hale began a campaign to make Thanksgiving a national holiday for the United States. At the time, America only had a couple national holidays, which were Independence Day and George Washington’s birthday; Hale felt America could use a holiday in the fall. Sarah’s quest to make Thanksgiving a holiday began in 1846 with letters written to Governors, Congress, and Presidents. Hale took her quest further as a writer for “Goody’s Lady Book” and delivered articles and editorials about Thanksgiving. Once the Civil War broke out in April of 1861, Hale felt the push to create a national holiday was more important. She continued to write her articles but knew that she needed to have a chance to write to President Abraham Lincoln. However, due to the Civil War, her previous ways of writing to any Governor or Congress would not work as the nation was now separated by war. It was not until after Abraham Lincoln declared his second day of thanks in 1863, with the first being in 1862 after a few Union Victories, that Hale decided to try to contact President Abraham Lincoln personally. Hale first contacted former Senator of New York and Abraham Lincoln’s Secretary of State, William Seward about making Thanksgiving a national holiday. Seward responded by giving Hale to go to privately write to Lincoln about her idea for making Thanksgiving a national holiday in hopes of trying to unite the nation. Whether Abraham Lincoln was already working on creating a national holiday for Thanksgiving or not, he approved Hale’s request and, in 1863, made the last Thursday in November Thanksgiving Day. It is also in the nineteenth century that we start finding more documentation about what a Thanksgiving meal consisted of. While the nineteenth-century meal still consisted of the more traditional food we think of presently, such as turkey, mashed potatoes, and stuffing; it also consisted of some foods we would not presently call traditional, such as stewed prunes, peach pickles, and chicken pot pie. In 1929, America saw stocks drop and the United States went into what is known as the Great Depression. During this time money was scarce and people often went to soup kitchens to eat. However, this did not mean Thanksgiving Day would be scarce, it just meant that people were going to make their meals from scratch with whatever food they had handy. Other areas decided to come together as a community to make a Thanksgiving meal. According to a newspaper article, each family would bring something they had in their household to contribute to the meal. Near the end of the Great Depression, in 1939, President Franklin D. Roosevelt decided to move Thanksgiving to a week earlier so Americans would have more for their Christmas shopping as he felt this change would help boost the economy. Another more modern-day Thanksgiving factor that began to take center stage in the early 1900s was football during Thanksgiving. While the first football game occurred in the late 1800s, the sport did not become a more popular Thanksgiving sport until around the Depression and escalated over the decades. While Abraham Lincoln declared Thanksgiving Day to be the last Thursday in November, this does not mean that it was a legal national holiday. In fact, Thanksgiving did not become a legal holiday until Congress made Thanksgiving Day a legal holiday in 1941 and over the course of the century, Thanksgiving became more of what we think of today. Today, Thanksgiving is one of the major American holidays centered around food, family, friends, football, and not shopping. While “Black Friday” shopping started in the 20th century, it has escalated in the 21st century and includes many stores opening their doors early, usually towards the end of Thanksgiving Day. There is also a variety of foods eaten during modern-day Thanksgiving meals. 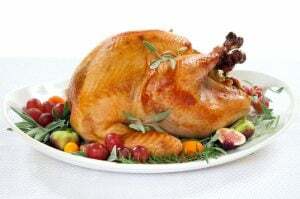 It is reported that about 88% of families eat the traditional turkey, mashed potatoes, stuffing, cranberries, and corn but it is also known that some families eat ham instead of turkey, while others chose not to eat meat or tofurkey. As stated before, the first notable Thanksgiving type meal in 1621 included the Native Americans. However, over time, documents of the 18th and 19th centuries seem to exclude Native Americans during the Thanksgiving celebrations. Whether Native Americans celebrate Thanksgiving or not or how they celebrate Thanksgiving may depend on their tribe or personal beliefs. For instance, the Wampanoag tribe does not celebrate like many other Americans do. To some Native Americans, especially the tribe which contacted the Pilgrims during the time of the 1621 Thanksgiving, feel it is more of a day of mourning than celebration, however, they do honor the Thanksgiving Day holiday. While there is no feeling of anger towards what occurred during the contact between their ancestors and the Pilgrims, they do feel there is a need to not only give thanks during the holiday but also remember how their tribe suffered during that time in history. Since George W.H. Bush’s first Thanksgiving as President, a turkey has been pardoned annually and sent to a farm for retirement. 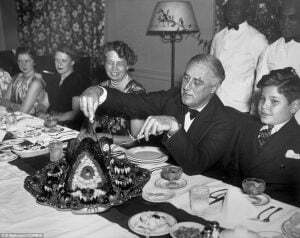 However, the pardoning of the Turkey dates to the 1940’s, it just was not always annually. 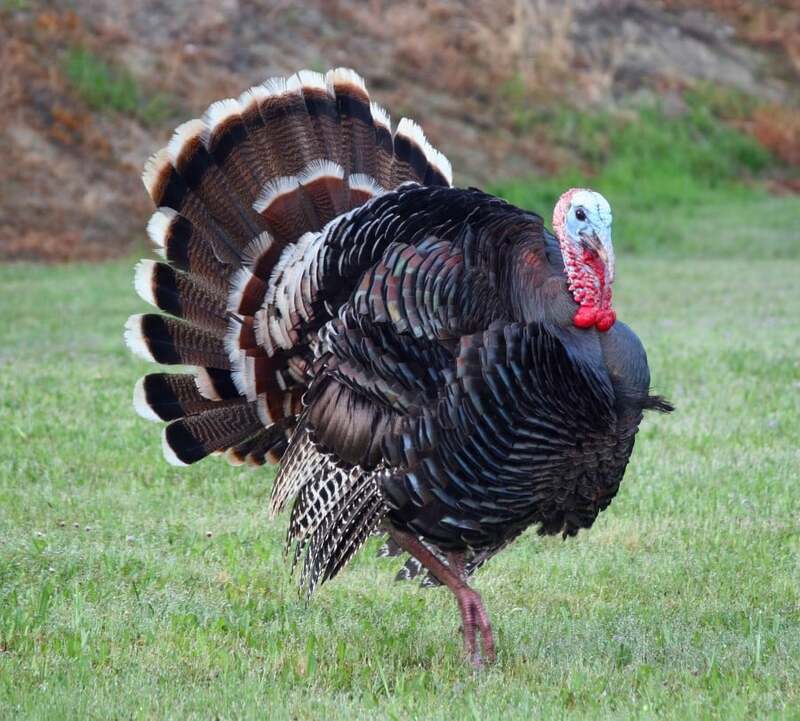 If Benjamin Franklin had his way, the turkey would be the national bird of the United States of America. For the Native Americans cranberries, a staple food for a Thanksgiving Day meal is not just a food but also used as medicine. Macy’s Thanksgiving Day Parade has been an important part of the holiday since first debuting in 1924, however, the first parade did not include balloons. Though Thanksgiving Day has not always been celebrated in America and only became a legal holiday in 1941, it is one of the most important holidays in the United States today. It is estimated that about 48 million people travel during the Thanksgiving Day holiday. 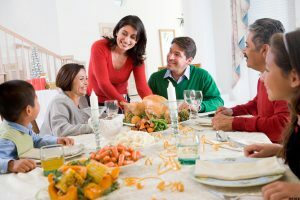 Historically, Americans cannot doubt the various changes that have been made through the four or more centuries that individuals have been celebrating Thanksgiving, whether it was considered just a celebration to thank God for a bountiful harvest or victory during a war or a national holiday. 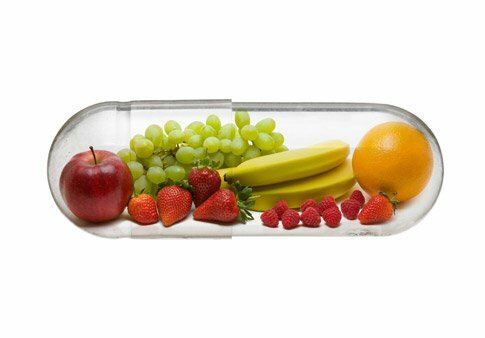 There have been changes within the food eaten, the reason for celebrating, and activities during the holiday. With the growth of America, there was a growth with Thanksgiving as a national holiday. ALL. “Frisco in the ’30s: Thanksgiving through The Great Depression.” Summit Daily. November 21, 2012. Accessed October 03, 2017. History.com Staff. “History of Thanksgiving.” History.com. 2009. Accessed October 01, 2017. History.com Staff. “Thanksgiving Facts.” History.com. 2009. Accessed October 01, 2017. Huffington Post. November 23, 2015. Accessed October 01, 2017. Maranzani, Barbara. “Abraham Lincoln and the “Mother of Thanksgiving”.” History.com. October 03, 2013. Accessed October 01, 2017. “Meaning of Thanksgiving.” AllAboutHistory.org. Accessed October 01, 2017. Olver, Lynne. Food Timeline–American Thanksgiving dinner. Accessed October 02, 2017. “Thanksgiving Day Fast Facts.” CNN. November 29, 2016. Accessed October 01, 2017.